NEEDS A PHONE, 02 Feb 2011Where can i buy this phone of the web, i want it for wind.ca 1700 and 2100 frequency, having a... moreYou need to go stores just under retailers like T-Mobile. What part of Canada are you in right now? is there a big difference of the t mobile and htc hd2? I must say I'm very proud with purchasing this phone! Having froyo 2.2 on this bad boy makes this phone seem like god compared to my last one (HTC Legend). i have observe that in this mobile there is no navigation key because in it some application for browsing need this key for execute commond. I'm posting this from my tmous hd2 running android froyo with htc sense (and it is running immaculately). This phone is so versatile, I still have windows 6.5 and have the options of installing ubuntu and soon windows mobile7 ; thanks to the large community of developers working on os for the phone. this is the best phone I've ever used in my life. While the galaxy s is one if the best phones around now,i still prefer the hd2 as I never get bored. In addition a lot of galaxy s users are still awaiting froyo but I already have it and I'm not even using sn android native phone. the default minmo 6.5 os is ok, nice features and good battery life. it does freeze occasionally and it does not have full flash 10.1.but you can solve that by dual booting into android 2.2. I'm getting the best of many worlds and I'm loving it. xda-developers.com and go to the HD2 forum and install HARD SPL and flash to a custom rom. i bought HD2 from T-Mobile recently and it made in china, is it copy or oreginal? please any one anser pecause i am worry,thx. What does ROM do? I don't see ROM in any other phone specification. 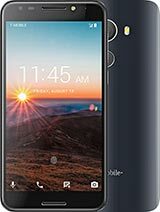 What is its purpose in this phone? osg, 14 Oct 2010i have problem with my hd2 there is no sound at all !!! no sound in calls or music or videos ... morecheck your volume sytem volume..
Hassan, 30 Nov 2010Hey guys, TMobile HD2 has better hardware specs as compared to HTC HD2. Does it perfom better too?yeah it does..
instal android on ur fone n u'll kno d difrnc..
Hey guys, TMobile HD2 has better hardware specs as compared to HTC HD2. Does it perfom better too? Google map is worked well via local WIFI and most destinations are in english. Petrol stations in japan are highlighted as well on google map. The only setback of google map is 3D car navigation, unlike we initiate Telenav in New York. It works wonder and I love it very much with voice guide. However, Telenav is not available in overseas. Hence, we have to look for other applications inevitably on hd2 on overseas travelling. Which app is suitable for japan travelling other than Telenav ? We travel Japan next month. Which HTC HD2 car navigator is useful in Japan ? Igo Primo? Bing? TomTom? Copilat? or others where it is available for HTC HD2? We intend to subscribe Softbank network in Tokyo. How much do they charge on car navigation on HTC HD2 ? Telenav is unable to be used in overseas? Is the existing Googel map is good enough for car navigation in Japan? hd2....the most versitile device today. i am running a custom winmo rom, numerous android builds and ubuntu linux.